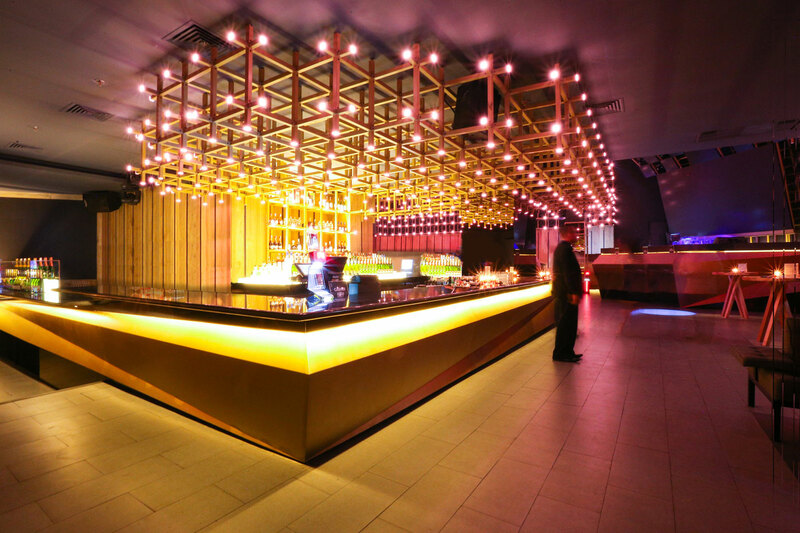 BLOWFISH located in the south of Jakarta, Indonesia is a highly acclaimed and award-winning contemporary Japanese restaurant and bar, with an avant-garde design that will stimulate and awaken the senses. 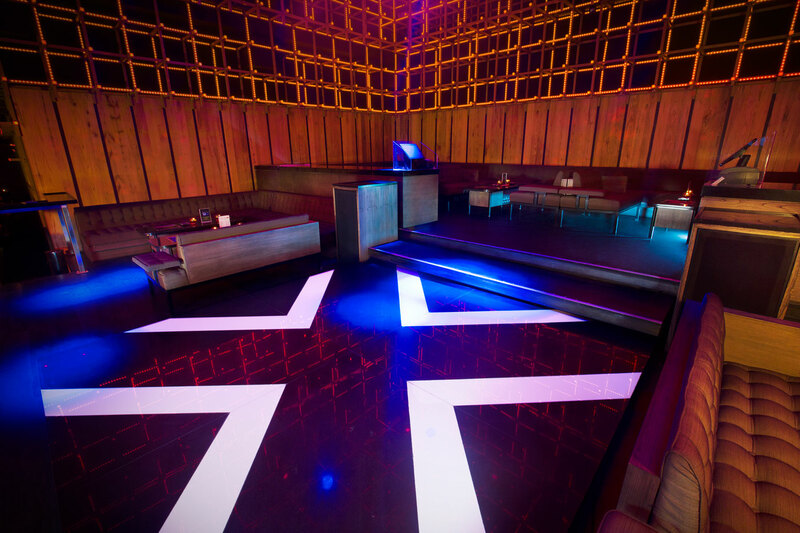 LEDsCONTROL was commissioned to make the lighting design, installation, training and programming for the venue. The process of the project was made since the beginning when the owners planned to make a total renovation. Our team worked in a very close collaboration with the interior designers in order to integrate the light on the architecture. The interior design was developed following Japanese inspirations. 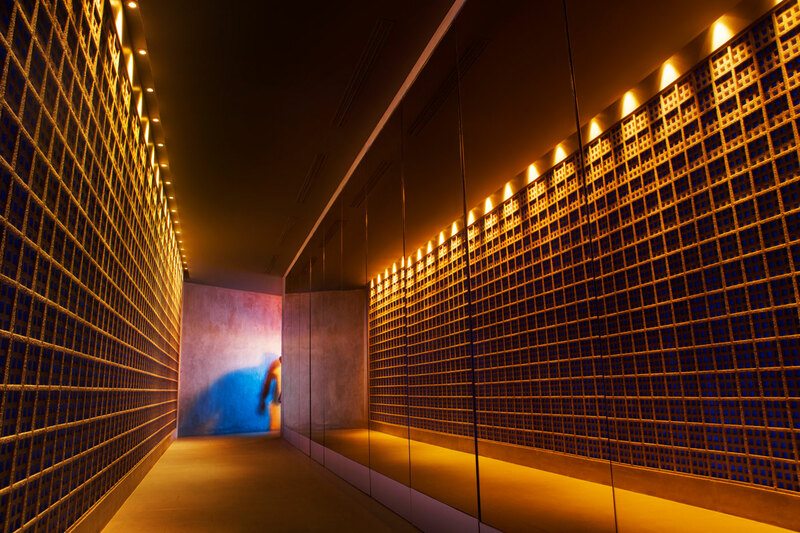 The final result is an enveloping wireframe construction in which the lights highlight the volume and play with the audience perspective thanks of how the luminaries are arranged on different layers of the volume. On the technical side the project consists on 2500 custom made digital LED bars of 10 pixels, more than 4000 LED dots some of them placed behind a brick wall and some others on the wireframe ends. 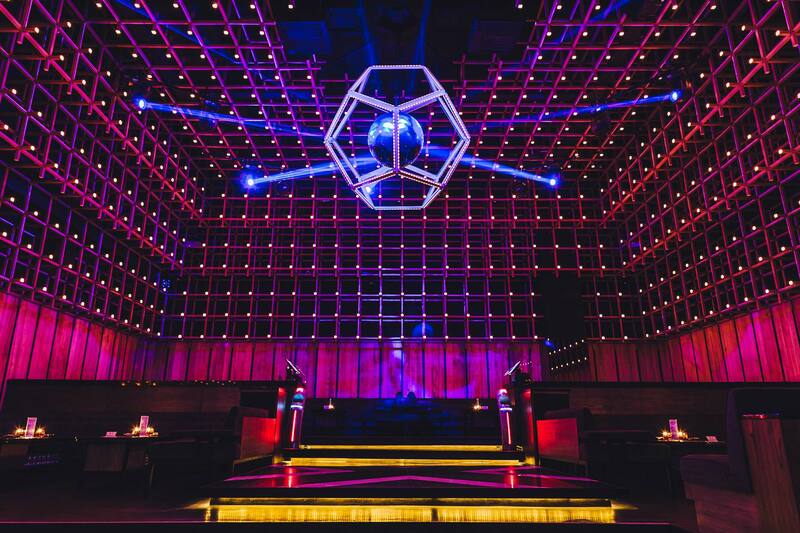 In terms of spectacular lighting Blowfish has Clay Paky Sharpy and Aleda K10 moving lights, 4 watt lasers, SGM X-5 Strobes, more than 25 square meters of LED screen pitch 3,9 mm, 26 mini narrow beam moving lights and Haze machines. All the LEDs are controlled with 29 MADRIX Luna 8, 1 MADRIX Ultimate and 1 MADRIX Basic dongles. The control for the moving lights an Avolites expert Pro.